Winter is in full swing, and it’s becoming clearer by the day that we’re in for a long, icy, snowy season. If you haven’t already switched to a set of winter tires, you’ve probably learned through a few white-knuckled drives home that you’ve made a terrible mistake. But it’s never too late for safety. Toronto has hit record weather patterns in 2018, and the roads will get increasingly treacherous throughout February and March. So, it’s crucial that your car is equipped and optimized for safety. Start off 2018 by ensuring you’re driving yourself and your children using the safest tires for your car, choosing the best winter tires for your driving patterns over winter. When it comes to safety, cheaply made tires simply won’t do the trick. Canadian winters are treacherous and require tires that can handle either slick conditions, or slicing through snowy roads. High-performance tires work hard for your car, keeping you and your passengers safe. Everyone benefits from high-performance tires. They stop, steer, and react better, while standing less chance to blow out on the highway. Plus, they work better with today’s sensitive steering & suspension systems. But the wear accumulates faster than lower-performing tires, because the cheaper, lesser-tiered counterparts simply don’t do as much. It’s true what they say: You get what you pay for – and safety costs. Do you ever wear one Nike shoe on your left foot, and one Converse on your right? We’re going to assume you don’t. Other than looking preposterous, you’ll be off balance, clunky, and the different ankle supports, soles, and treads will throw off your gait and posture. Similarly, mixing and matching winter tires will create undue stress and wear-and-tear on treads and rubber compounds. Each tire design handles differently with varying traction and flexibility. If certain tires have better traction, they’ll carry the bulk of the tension, and will fail to perform efficiently after only a season or two of bearing the brunt of cold, snowy, and icy conditions. 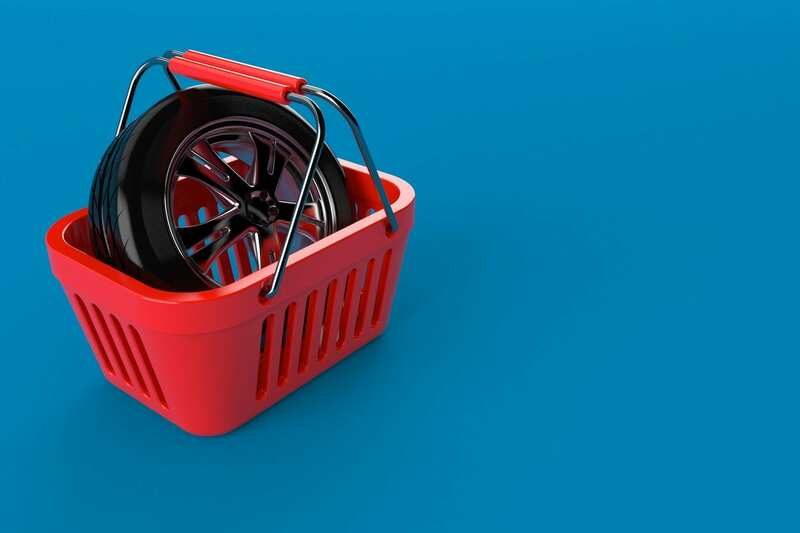 Modern automobiles now feature wide, low profile tires mounted on large diameter wheels as standard equipment or factory options. They plow a wide path through deeper snow, pushing, piling, and creating a literal snowball effect. You’ll float on top of the surface, resulting in a loss of traction. Narrow tires with a higher profile are safest in deep snow. The contact patch is the area on the tire making contact with the ground, similar to a footprint. Narrow tires have a smaller contact patch, meaning a greater dispersal of pounds per square inch. The entire force of the car is concentrated into the smaller surface area, allowing it to cut into deep ice and snow, similar to a pizza slicer cutting through a triple-cheese pie. With the ability to dice through the snow, narrow tires offer predictable handling, superior traction, and most importantly, a safer ride in deeper snow. Choosing the right winter tire depends on the type of driving you’ll be doing in Canada’s most frigid months. Snowy country roads and slick city highways demand their own distinctive sets of tires for peak performance and optimal safety. Our tire technicians will assess your needs based on your driving patterns and advise on the safest winter tires for your car.